The Lifetime Payette 116 Kayak is a "sit-inside" kayak that has a large cockpit and a comfortable backrest for your long paddling adventures. Designed for extreme safety and stability, the Payette has a stable flat bottom with deep tracking channels and stability chine rails. The kayak is constructed of blow-molded high-density polyethylene making it durable, UV-protected, and impact resistant. The lightweight, 44 pound design and front and rear carry handles make it easy to transport to and from the waterfront. With shock cord straps, multiple footrest positions, and an enclosed compartment with a lid and shock cords, this kayak has plenty of "extras" to enhance your paddling experience. With a 500W motor and a 13.3AH battery it has a range of up to 70km. The 500W motor will get you to the peak faster so you can enjoy the downhill riding with more energy! The Nerone is also a great commuting bike, if you need to hop curbs, travel through parks, or hit any other rough terrain, this is the bike for you. 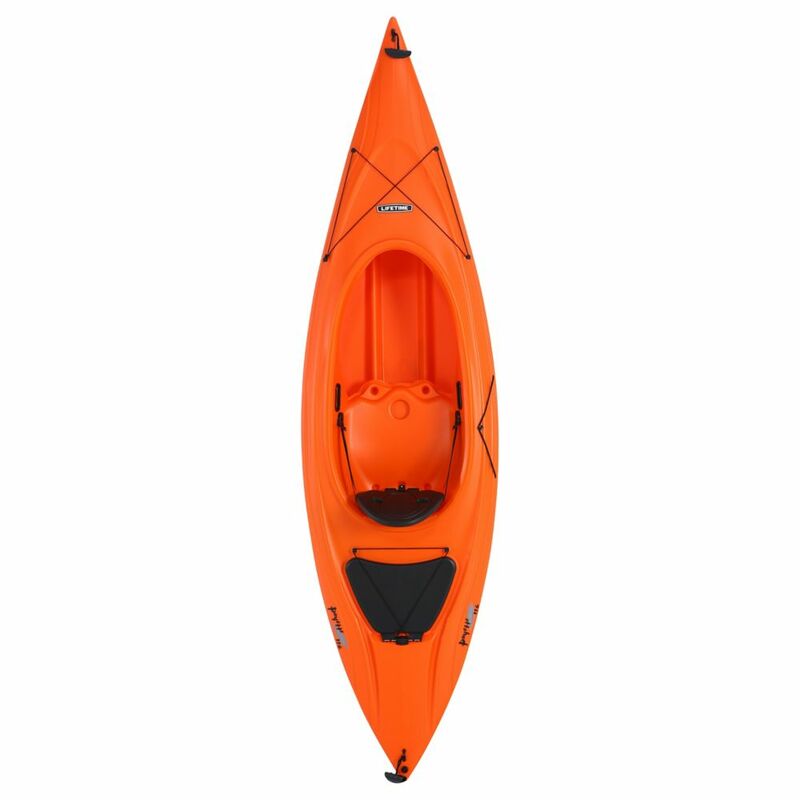 Lifetime Payette 116 Inch SIS Kayak Orange The Lifetime Payette 116 Kayak is a "sit-inside" kayak that has a large cockpit and a comfortable backrest for your long paddling adventures. Designed for extreme safety and stability, the Payette has a stable flat bottom with deep tracking channels and stability chine rails. The kayak is constructed of blow-molded high-density polyethylene making it durable, UV-protected, and impact resistant. The lightweight, 44 pound design and front and rear carry handles make it easy to transport to and from the waterfront. With shock cord straps, multiple footrest positions, and an enclosed compartment with a lid and shock cords, this kayak has plenty of "extras" to enhance your paddling experience. Lifetime Payette 116 Inch SIS Kayak Orange is rated 4.7 out of 5 by 7. Rated 4 out of 5 by Harley from Little smaller than traditional kayak for an adult...taller person, but... Little smaller than traditional kayak for an adult...taller person, but did the job. It is the kids favorite kayak to use, can’t go wrong with the price! Rated 5 out of 5 by Robert from Looks great, delivered on time. Won't know until Spring how... Looks great, delivered on time. Won't know until Spring how it is in the water. Rated 5 out of 5 by Alex from Light weight and easy to use Wasn't hard to carry or handle. Adult size but kids can use it as well, just might need help getting it to the water. Rated 4 out of 5 by Granny from Poorly shipped kayak is light and easy to carry down the hill to my small lake and to be able to paddle around and enjoy nature. Wouldn't work for serious kayaking. Wasn't packaged well so came with a dent in the back side. Shipper didn't deliver to driveway as stated in ad. The Payette&trade; does not have a rudder that can be controlled underneath the water. The Payette&trade; has a stable flat bottom with deep tracking channels and stability chine rails. Direction is controlled by the user with paddles. Does this come with a paddle? This particular model does not include a paddle but can be purchased separately. What is weight limit on this Kayak? This kayak can hold 250lbs.